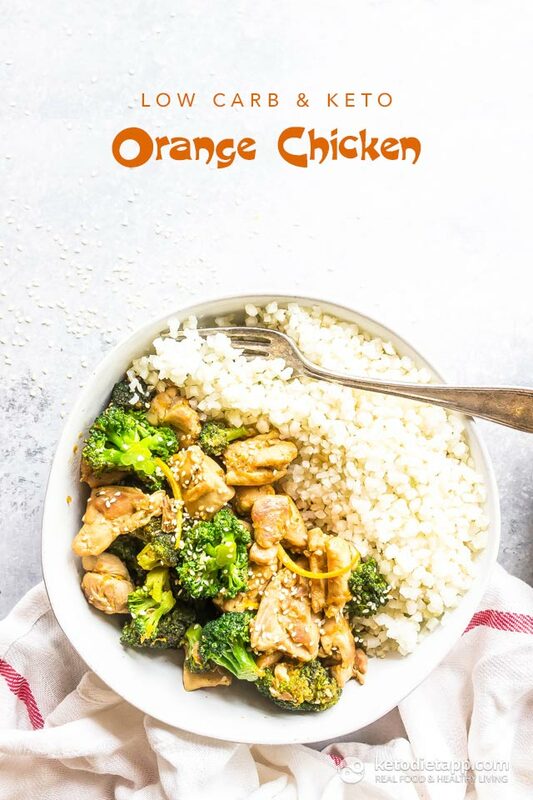 This keto-friendly orange chicken is bursting with bright Chinese flavors. You will only need a few common ingredients and 20 minutes to make it. If you follow a strict paleo diet or have to avoid soy altogether, substitute the gluten-free tamari sauce with coconut aminos. 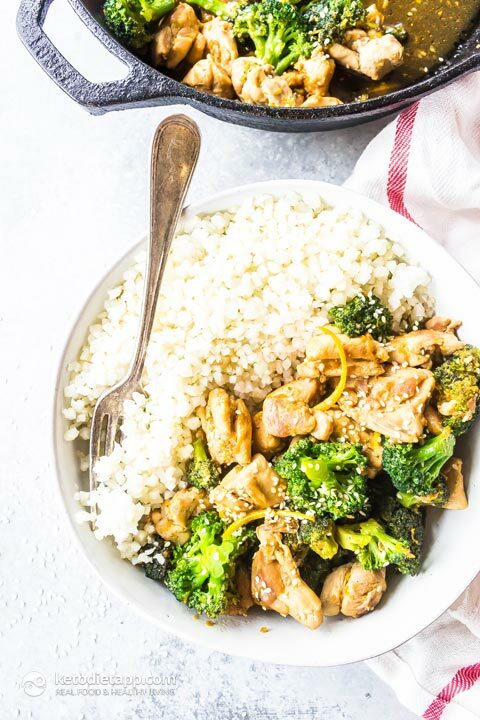 Serve with low-carb cauliflower rice for a complete meal! Cut the chicken into 2 1/2 cm/ 1-inch pieces. Heat the coconut oil in a large skillet or wok over high heat. Add in the chicken and brown 3-4 minutes per side until golden. 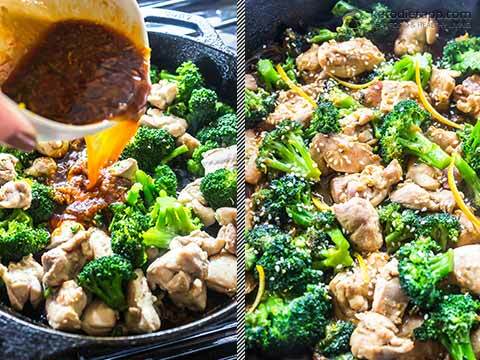 Add in the broccoli and stir-fry 3-4 minutes. 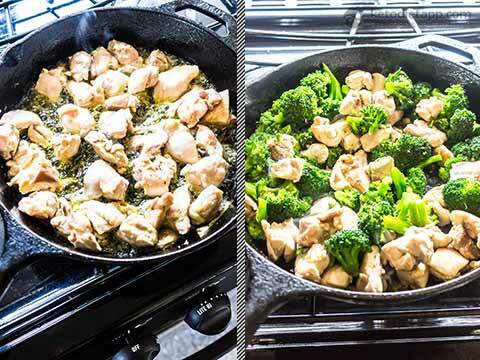 Whisk together the sauce ingredients in a small bowl then pour over the chicken and broccoli. Cook 2-3 minutes until the sauce is reduced. Sprinkle in the sesame seeds and serve with cauli-rice, shirataki rice or more broccoli. Didnt know could include orange in keto! Delicious! I made it tonight and had 2 huge portions!